The exciting and colorful images being beamed back from the planet Mars this past week should be true to life, thanks to the ingenuity of researchers at University of Central Florida. Physics Professor Daniel Britt built two calibration targets that sit on the Curiosity rover now exploring the red planet. 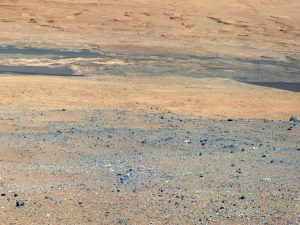 The rover captured America’s imagination when it used a complex landing scenario that might be more at home in a Hollywood movie than NASA engineering plans. After the landing, which scientists nicknamed the 7-minutes of terror, the rover turned on its cameras and began beaming images to earth. The colors that scientists and the world saw were the direct result of Britt’s innovation. That’s because the materials used to portray the actual colors – through calibration targets – were made in UCF labs. One of Britt’s calibration targets is used to ensure proper color and exposure balance for the MastCam seen on top of the rover. That camera took the 360-degree breathtaking panoramic photo NASA released late last week to the general public. The other is a UV-sensitive target for MAHLI (the Mars Hand Lens Imager). MAHLI will provide scientists with close-up views of the minerals, textures and structures in Martian rocks and the surface layer of rocky debris and dust, according to NASA. The self-focusing, 1.5-inch-wide camera will take color images of features smaller than the diameter of a human hair. MAHLI also carries an ultraviolet light that will be used to induce fluorescence to help detect carbonate and evaporite minerals, both of which indicate that water helped shape the landscape on Mars. This is not the first time Britt’s calibration targets have landed on Mars. 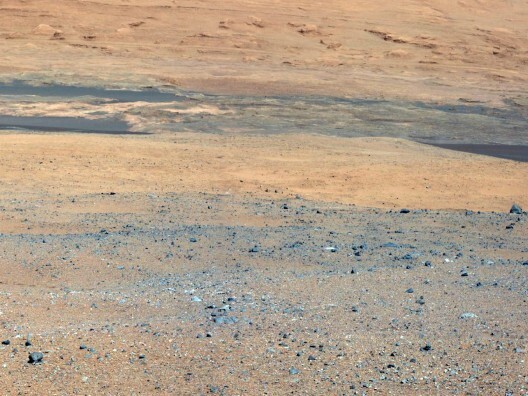 Similar targets are on the rovers Spirit and Opportunity, which landed on Mars in 2004; the Mars Phoenix lander, which arrived in 2008; Mars Pathfinder, which landed in 1997; and the Mars Polar Lander, which crashed on landing in 1999. Britt is the chair of the Division of Planetary Sciences of the American Astronomical Society. He also led the writing and editing of the major NASA planning document for the study of main belt asteroids. This work will form part of the basis of the National Academy of Sciences’ report on plans and objectives for planetary science during the next decade. Britt joined UCF in 2003. His research revolves around using remote-sensing tools to determine the composition and evolution of solar system objects, including asteroids, comets and Mars. He has worked on several NASA projects, including the Mars Pathfinder mission 1993-1998 and the Deep Space 1 mission to a comet 1996-2002.